I am a face powder junkie. I suppose its not really by choice because I have oily/combination skin and wearing makeup without powdering my t-zone is just not an option for me. So over the years I have tried a whole host of powders and I think my current collection of powders is as close to perfection as I'm ever going to get because there's not a single powder in my collection that I have reservations about or I'm willing to get rid of. 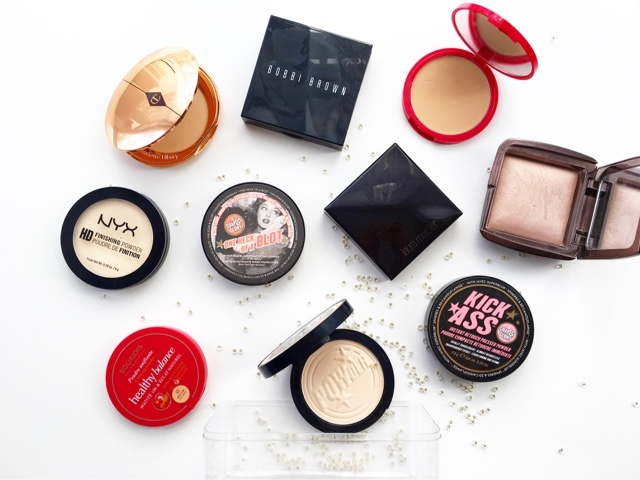 And yes, I love pressed powders over loose powders because I am far too messy! For me I have 3 main categories of powders that I need to have in rotation - an under-eye setting powder, a face setting powder and a mattifying, blotting powder. 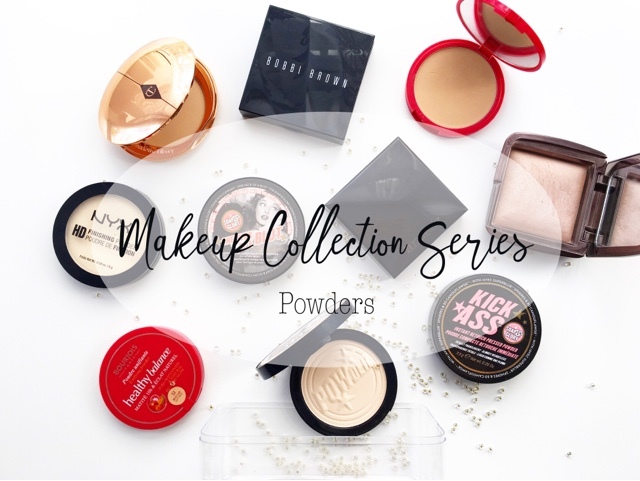 Since there are no duds in my current stash I can quite confidently say I recommend any of these powders but of course they differ slightly in their purposes, finishes and performance so keep reading to find out why each of these is in my collection and why I love/like them. I very recently crowned this my favourite powder of all! Why? It does everything I want a face setting powder to do and does it all wonderfully and I haven't got a single bad thing to say about it...even the packaging is to die for. It is as finely milled as you'd like and melts into makeup and skin beautifully. It doesn't sit on top or cling onto any dry flakes or patches. It mattifies the skin whilst letting some of the natural glow of the skin through - the makeup is matte but the complexion doesn't lose any dimension. The blurring effect whereby pores (and mine are gigantic) appear less prominent and the skin looks flawless makes this powder incredibly special. If you are struggling to find a setting powder that doesn't look cakey or ashy or unnatural, this could be the one you need in your life. This has been a firm favourite that I continue to repurchase 3 years on...and actually before I tried the Charlotte Tilbury powder was very much my favourite face setting powder and is a very formidable affordable alternative. 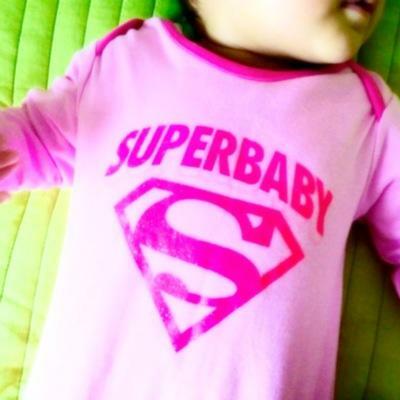 It also melts into the skin and keeps makeup looking matte without looking flat. I love that this powder is super fine and is forgiving on problem areas such as dry patches and fine lines. It doesn't dry out my skin or exaggerate anything. I have two shades because I use the darker shade to set foundations that are a touch too light for me. 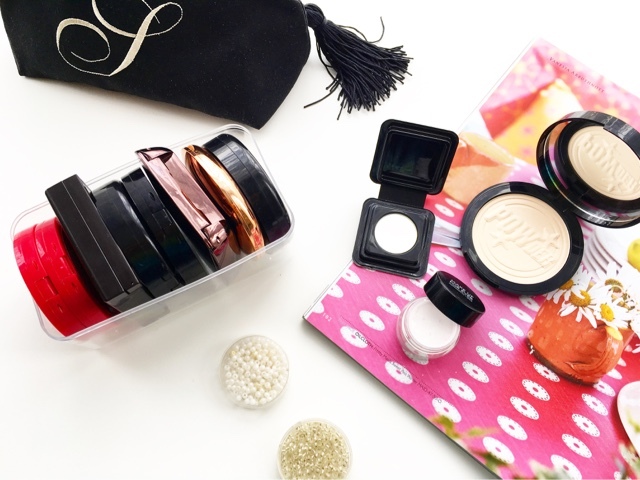 I love the compact packaging which might not look as breath-taking as the previous powder but at least I can travel with it without constantly worrying. I highly recommend this powder to fair-medium skin tones looking for an affordable powder that does a wonderful job akin to higher end powders. This is my favourite under-eye setting powder. Its a soft, yellow-toned powder that works best for me when pressed on with a damp sponge. It sets concealer in place wonderfully without creasing or fading away over time. I love that it isn't drying and how brightening it is. You have to be careful not to apply too much of this because it is fairly pigmented and can look over the top but otherwise it makes my concealer look flawless. I have tried this over my face makeup but I don't find it sits as well as it does to set concealer. And my favourite blotting powder has been this for a good few years now and I've already purchased another one. I don't tend to use this as soon as I apply my makeup but I rely on this powder to keep my face shine-free throughout the day. It travels with me when I go out because my t-zone gets super shiny after only a couple of hours and I use a little brush or the puff to mattify. It doesn't leave a white cast on my skin thankfully. This was my favourite under-eye setting powder for a long time before I discovered the NYX one and I got through a couple of these already. Similarly, this powder doesn't sit as well on my face and seems to grab onto dry patches and look unflattering on my pores. But under the eyes it melts into my concealer and sets it in place perfectly. The only reason why I won't be repurchasing this any longer is because I prefer how much more brightening the NYX powder is. Otherwise this is a great affordable pressed powder to rival some high-end ones. This modern iconic product is the one I reach for when I use a matte foundation and I want to fake the glow look without letting my natural oiliness shine through. Thankfully the shade works for me though it leans a little more neutral than I'd like it to. It leaves my face looking radiant and lit from within while keeping my makeup looking flawless. I do tend to look shiny quicker when using this powder but what I love is that adding more of this powder deals with it without looking cakey. Another powder that I really enjoy for that subtle glow it gives to my complexion is a newer one in my collection. Without any discernible shimmer particles, this powder blurs imperfections and reflects light for a beautiful skin-like glowing finish. 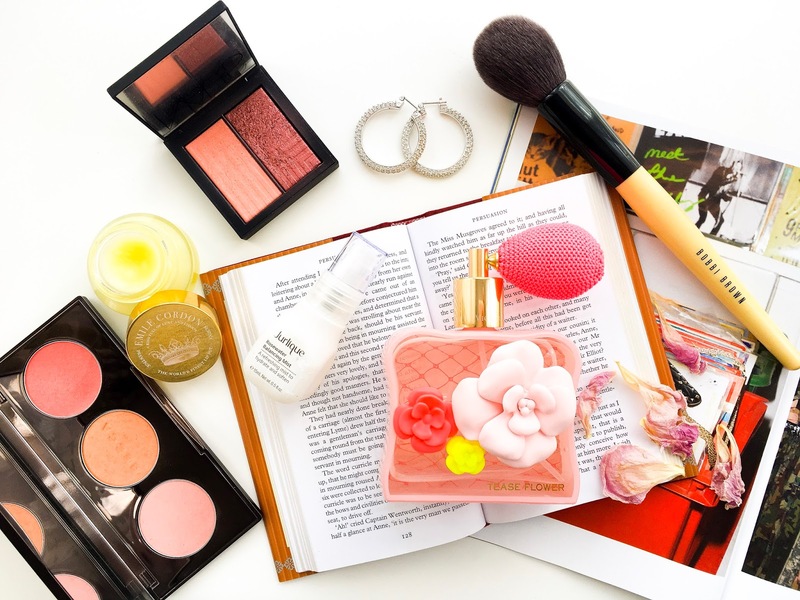 The best thing about this powder is that I can enjoy looking radiant and glowing while my makeup is set in place while my natural oiliness is kept in check. This can be applied with a denser brush as a subtle highlighter which I love too and the skin tone shades make this a new favourite. This is the powder I have loved for the longest, repurchased a good few times and one that I no longer really need (the Bourjois is basically the same to me but way more affordable) but love to have in my stash. Its a finely milled powder that sets my makeup, deposits a small amount of coverage and doesn't dry out my skin. Of course the colour selection is great too with a realistic and inclusive range to choose from. I haven't actually tried Makeup Forever Ultra HD Pressed Powder yet but I am curious to see how it works for me. I fear it would be too drying plus its tiny so I need to get it out to remember to use it. 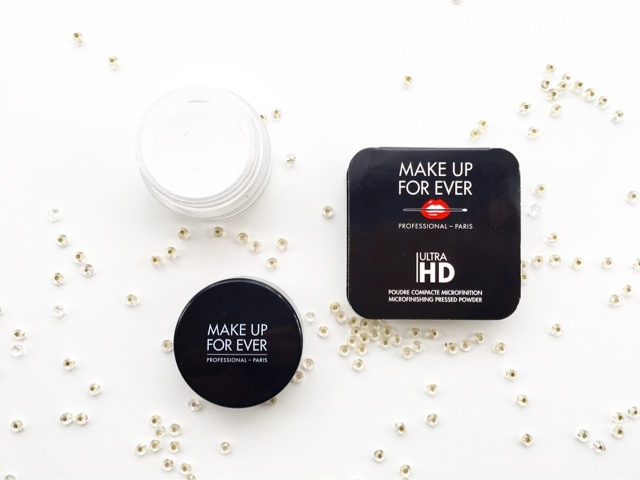 I have tried Makeup Forever Ultra HD Loose Powder which I wanted to purchase for the longest time. I am glad I didn't because this is a good powder but not the best I've tried. It sets my makeup but makes me look quite flat and then doesn't keep me shine-free for very long. Laura Mercier Translucent Loose Setting Powders - Because everyone says I need to try them but I am afraid because I am too messy for loose powders! MAC Mineralize Skin Finish Natural - I've never heard a bad word about it. Georgio Armani Luminous Silk Powder - Sounds like everything I love in a powder and I love a little luxury sometimes.